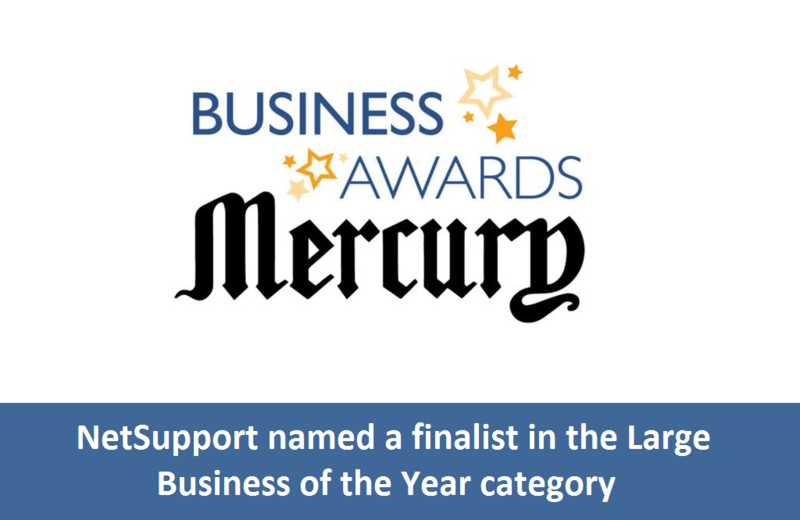 NetSupport is a finalist in the Mercury Business Awards! The Mercury Business Awards were established in 2005 and have become a ‘must’ in the business calendar throughout the Stamford and Rutland area. Held at the Greetham Valley Hotel, near Oakham, the awards celebrate excellence and showcase the achievements of local businesses and the people who work for them. NetSupport is delighted to be chosen as a finalist in the ‘Business of the Year: Large’ category of this year’s awards. This award recognises businesses trading for more than three years with more than 20 employees that can show evidence of business growth; a commitment to the local community; a business strategy and vision for the next three to five years; proven success and achievement during the past two years; management with the ability to drive the business forward and a genuine commitment to its staff. The 2018 Rutland & Stamford Mercury Business Awards will be presented at a prestigious gala dinner at Greetham Valley Hotel on Friday, September 21.